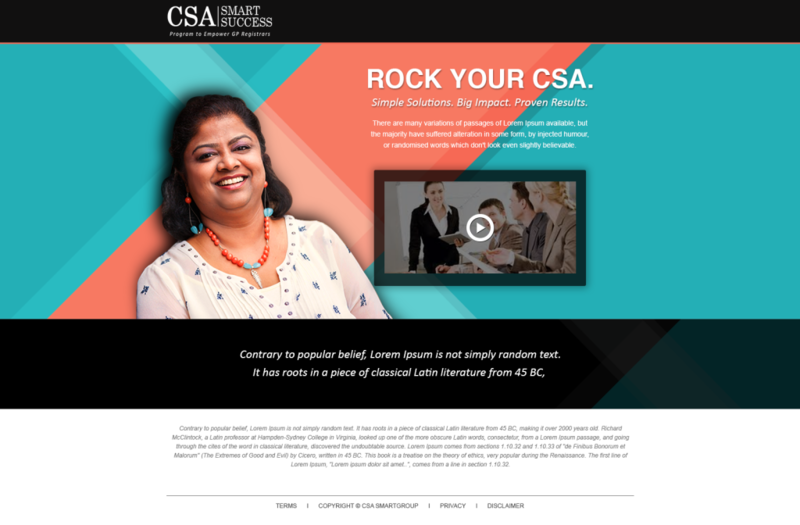 Hypertension Cases Made Easy For CSA With Examples « ROCK YOUR CONSULTATIONS, GET MORE MARKS! <— Like & Share with your friends! Note: Check this post first, if not already! 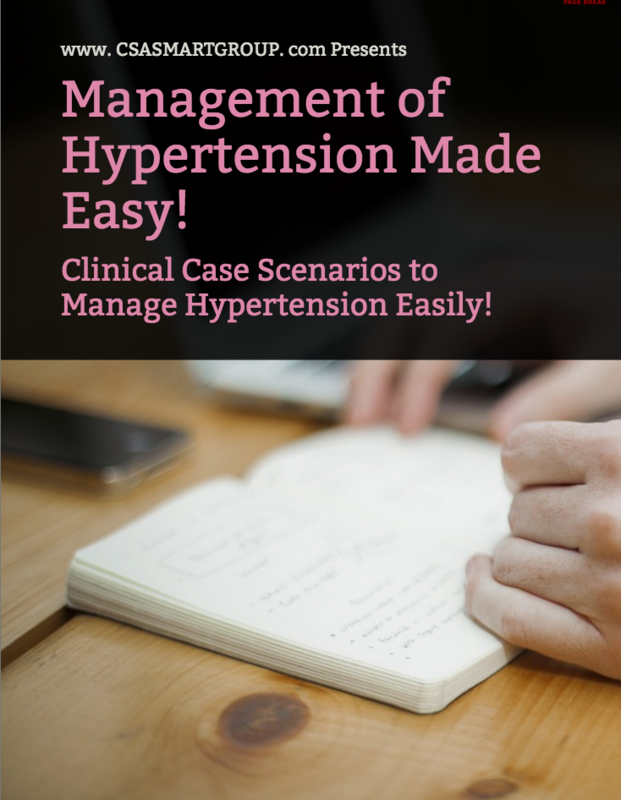 Get you cheat sheet here: Management of Hypertension Made Easy – FREE Cheat Sheet! Stage 1 hypertension: Clinic blood pressure is 140/90 mmHg or higher and subsequent ambulatory blood pressure monitoring (ABPM) daytime average or home blood pressure monitoring (HBPM) average blood pressure is 135/85 mmHg or higher. Stage 2 hypertension: Clinic blood pressure is 160/100 mmHg or higher and subsequent ABPM daytime average or HBPM average blood pressure is 150/95 mmHg or higher. Severe hypertension: Clinic systolic blood pressure is 180 mmHg or higher or clinic diastolic blood pressure is 110 mmHg or higher. White-coat effect: A discrepancy of more than 20/10 mmHg between clinic and average daytime ABPM or average HBPM blood pressure measurements at the time of diagnosis. Click here to get this article in pdf: Hypertension Cases Made Easy – FREE! 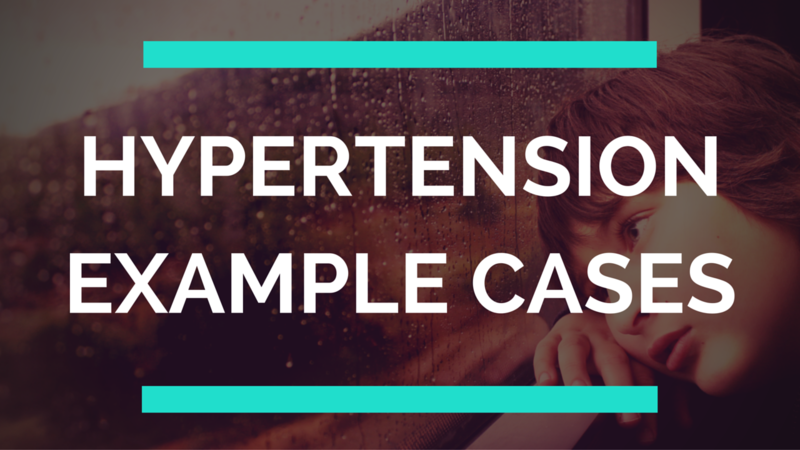 Click this image to get the free pdf – Hypertension Cases Made Easy! Presentation: Jenny is 38 years old. She is attending for a routine appointment about her contraception, for which she uses a diaphragm. Medical history From her records you notice that Jenny’s blood pressure has increased since her last check twelve months ago. She does not smoke, drinks 10-12 units of alcohol a week and has no notable medical history. Please note: when using automated devices to measure blood pressure, palpate the radial or brachial pulse before measuring blood pressure. If pulse irregularity is present, measure blood pressure manually using direct auscultation over the brachial artery. You are considering a diagnosis of hypertension and therefore, take another reading in Jenny’s other arm. There is no notable difference between readings. You would takeJenny’s blood pressure a third time during the consultation. The third reading is 149/93 mmHg. You suspect hypertension – what would you do next? You organise forJenny to receive ambulatory blood pressure monitoring (ABPM) through your GP practice. If you are responsible for setting up the monitoring device, you ensure that at least two measurements per hour are taken during Jenny’s usual waking hours (for example, between 8 am and 10 pm). You would use the average value of at least 14 measurements taken during Jenny’s usual waking hours to confirm a diagnosis of hypertension. At the same time, you would also carry out investigations for target organ damage (such as left ventricular hypertrophy, chronic kidney disease and hypertensive retinopathy). arrange for a 12-lead electrocardiograph to be performed. You would also carry out a formal assessment of cardiovascular risk (Jenny’s clinic blood pressure must be used in the calculation of cardiovascular risk) using a cardiovascular risk assessment tool, in line with Identification and assessment of CVD risk in ‘Lipid modification’ (NICE clinical guideline 67). Additionally, you would also ascertain information about lifestyle in areas such as diet, exercise, alcohol, smoking and caffeine consumption and dietary sodium intake and offer appropriate lifestyle advice Record the results of all investigations and assessment inJenny’s notes. You identify her dietary sodium intake is greater than recommended levels. NICE PH25 on prevention of cardiovascular disease recommends that as part of preventing cardiovascular disease at a population level there should be a reduction in salt intake. By 2015, an adult’s maximum intake of salt per day should not exceed 6g and by 2025, this should be reduced to 3g. Additionally, Jenny’s exercise patterns are not in line with national guidance. What advice would you offer? The result of Jenny’s ABPM shows daytime average blood pressure of 145/92 mmHg. What would your diagnosis and your next steps be? This result shows that Jenny has stage 1 hypertension. If you had not already done so (answer 1.2), you would do the tests needed. You would use the results of the cardiovascular risk assessment to discuss prognosis and healthcare options withJenny. Continue to ascertain information about her lifestyle in order to provide tailored lifestyle advice in accordance with the guideline on areas such as diet (including sodium and caffeine intake) and exercise and alcohol consumption. 10-year cardiovascular risk less than 20%. Nothing abnormal was detected in the other investigations you organised. What is your next step and what treatment and follow-up would you offer? Further assessment: You would consider seeking specialist evaluation of secondary causes of hypertension and a more detailed assessment of potential target organ damage. This is because 10-year cardiovascular risk assessments can underestimate the lifetime risk of cardiovascular events in these people. Additionally, people under 40 years with stage 1 hypertension are less likely to have overt evidence of target organ damage or vascular disease. Jenny does not have target organ damage, established cardiovascular disease, renal disease, diabetes or a 10-year cardiovascular risk equivalent to 20% or greater, therefore, you would not offer antihypertensive drug treatment. You would continue to provide further tailored lifestyle advice (recommendation 1.4.1 – 1.4.9) periodically in accordance with the NICE clinical guideline. The NICE clinical guideline recommends that you would provideJenny with an annual review of care to monitor blood pressure, provide her with support and discuss her lifestyle and symptoms. If Jenny had been eligible to receive antihypertensive drug treatment, what should you consider when prescribing antihypertensive drugs for a woman of child-bearing potential? There is an increased risk of congenital abnormalities if women take angiotensin-converting enzyme (ACE) inhibitors or angiotensin III receptor blockers (ARBs) during pregnancy, and it is important that women of childbearing age know this. If the woman is planning a pregnancy she should discuss this with you. If a woman taking ACE inhibitors or ARBs becomes pregnant, these antihypertensive drugs should be stopped and alternatives offered. Philip is a 56-year-old male who presents to you with feelings of dizziness every time he stands up. Philip has migraines and takes propranolol modified-release 160 mg daily, which has reduced the frequency. He attends the GP surgery’s weight loss clinic. He has lost four stones in 12 months as part of a controlled weight loss programme . Philip’s ECG is normal and his blood pressure is 126/82 mmHg. What would you do next to investigate the cause of Philip’s dizziness? As he was seated for the first readings, you would ask Philip to stand up for one minute and then measure his blood pressure again. Philip’s standing blood pressure is 90/50 mmHg. What would you do next? You would review Philip’s medication. His recent weight loss may mean that the dose of beta-blocker needs to be reduced. You would note the postural hypertension in Derek’s records so that colleagues measuring his blood pressure in the future are aware that they should measure his standing blood pressure, as well If changes to the migraine prophylaxis do not relieve Derek’s dizziness you would consider referral to a specialist. consider referral to specialist care if symptoms of postural hypotension persist. Danny is a 39-year-old black male of Caribbean family origin. He presents to you with a sore ankle after ‘going over’ on it. Danny has no significant past medical history. Previous presentations have been related to coughs and colds. He smokes 25 cigarettes a day, alcohol consumption around 20 units/week and has done for 18 years. He works shifts and says that he considers his diet to be unhealthy as a result. You conclude that Danny’s ankle is sprained. As part of your routine examination, you measure his blood pressure. The first measurement in his left arm is 150/92 mmHg, the second measurement in his right arm is 149/91 mmHg and the third measurement in his left arm is 151/92 mmHg. You would record Danny’s clinic blood pressure as 149/91 mmHg. In order to diagnose hypertension, you organise ambulatory blood pressure monitoring (ABPM) to confirm a diagnosis of hypertension. When organising this you ensure that at least two measurements per hour are taken during Danny’s usual waking hours. You would use the average value of at least 14 measurements taken during Danny’s usual waking hours to confirm a diagnosis of hypertension. At the same time, you would also carry out investigations for target organ damage (such as left ventricular hypertrophy, chronic kidney disease and hypertensive retinopathy). You would also carry out and a formal assessment of cardiovascular risk (Danny’s clinic blood pressure must be used in the calculation of cardiovascular risk) using a cardiovascular risk assessment tool, in line with the recommendations on Identification and assessment of CVD risk in ‘Lipid modification’ (NICE clinical guideline 67). Additionally, you would ascertain information about lifestyle in areas such as diet, exercise, alcohol, smoking and caffeine consumption and dietary sodium intake and offer appropriate lifestyle advice. Given the history provided you ensure that you include lifestyle advice about smoking, alcohol consumption and diet and exercise. Record the results of the investigations and assessments in Danny’s notes. ABPM indicates that Danny’s daytime average blood pressure is 147/89 mmHg. There is no evidence of target organ damage, cardiovascular disease, renal disease or diabetes. You identify a 10-year cardiovascular risk equivalent to under 20%. With this information, what is your diagnosis and what would you do next? You would diagnose stage 1 hypertension. If you had not already done so, you would also do the investigations mentioned above. You would use the results of the initial cardiovascular risk assessment to discuss prognosis and healthcare options with Danny. You would also offer Danny lifestyle advice in accordance with the guideline on areas such as diet (including sodium and caffeine intake), exercise, alcohol consumption and smoking. The results of the tests you arranged (presence of protein in the urine, estimation of the albumin:creatinine ratio, haematuria, plasma glucose, electrolytes, creatinine, estimated glomerular filtration rate, cholesterol, hypertensive retinopathy, 12-lead electrocardiograph) have been returned. All are normal with the exception of cholesterol which was total cholesterol = 5.6mmol/L, HDL cholesterol 1.1mmol/L. What would you consider next in order to help you decide on the best management strategy for Danny? You would consider seeking specialist evaluation of secondary causes of hypertension and a more detailed assessment of potential target organ damage. This is because 10-year cardiovascular risk assessments can underestimate the lifetime risk of cardiovascular events in these people. Additionally, people under 40 years with stage 1 hypertension are less likely to have overt evidence of target organ damage or vascular disease. You decide to refer Danny for the specialist assessment. This is because 10-year cardiovascular risk assessments can underestimate the lifetime risk of cardiovascular events in these people. The results of the specialist assessment are returned. There are no secondary causes of hypertension; however, he was noted to have left ventricular hypertrophy and early evidence of impaired diastolic relaxation on his echocardiogram. The report suggests that these changes are most likely related to hypertension. Thus, Danny has evidence of target organ damage. What would you do next? You would offer Danny treatment with a calcium-channel blocker, for example, amlodipine. You would also offer him appropriate information about the drug and unwanted side effects. You would see the results of the more detailed cardiovascular risk assessment, which included the cholesterol levels to discuss prognosis and healthcare options with Danny (detailed in answer 2). As appropriate, you would repeat the lifestyle advice that was given in answers 1 and 2 in accordance with the guideline on areas such as diet (including sodium and caffeine intake), exercise, alcohol consumption and smoking. As Danny’s cholesterol level is marginally elevated, you would also enquire about the fat content of his diet and recommend that he reduces his fat intake. You would note that his cholesterol needs rechecking. You would ask Danny to return to your practice in 4 weeks for a review of his blood pressure. Please note Danny’s case is similar to Case 1 (Jenny). Danny has been offered antihypertensive drug treatment whereas Mary was not. This is because Mary did not have target organ damage, established cardiovascular disease, renal disease, diabetes or a 10-year cardiovascular risk equivalent to 20% or greater whereas Danny has target organ damage. You have previously concluded that Danny’s sprained ankle has healed and all swelling had cleared. Danny returns to the clinic and you notice both ankles are very swollen, which are new to him. This is likely to indicate that he is not tolerating his calcium-channel blocker. His clinic blood pressure is 135/86 mmHg. Would you consider that his blood pressure has been controlled? What would you do next? Danny’s blood pressure has been controlled as his clinic blood pressure is now below 140/90 mmHg which is what you were aiming for. However, he was not tolerating the calcium channel blocker. You would change the calcium-channel blocker to a thiazide-like diuretic such as indapamide 2.5 mg once daily. You would arrange for him to return to the clinic to check his blood pressure again in 4 weeks. You would arrange for him to return to the clinic to check his blood pressure again in 4 weeks. Doris is an 81-year-old female non-smoker. She was diagnosed with stage 2 hypertension, by a practice colleague 1 month ago. It is thought the cause is probably arterial stiffening. Her clinic blood pressure was 174/100 mmHg and her ABPM average was 170/95 mmHg She was not identified as having ‘whitecoat’ hypertension. She has now returned to the practice after your colleague requested she return for a follow-up appointment. Medical history Doris has no significant medical history. What would you have expected your colleague to have initiated with Doris? Arranged and reviewed the results of all appropriate tests for target organ damage and cardiovascular risk assessment1 in line with the NICE guideline. Started treatment with a calcium-channel blocker. Offered Doris information and guidance about her diagnosis and treatment options. Asked Doris to return to your practice clinic in 1 month to check her blood pressure (this is the purpose of her current visit to you). From Doris’ notes, you can see that your colleague had initiated the management plan in line with the NICE clinical guideline and as identified in answer 3.1. Doris is taking the calcium channel blocker. You have checked adherence with step 1 treatment and do not believe there is anything you can do, for instance, modify dosing regimen, provide a record for her to monitor her medicine taking, to help enhance adherence further. Doris’s total cholesterol is 4.8mmol/L and her HDL is 1.6mmol/L. Glucose is normal. There is no left ventricular hypertrophy or atrial fibrillation on ECG. Her 10-year cardiovascular risk is greater than 20%. (using QRISK2) You measure her clinic blood pressure and it is 165/95 mmHg. Doris’s blood pressure is not controlled. Check her adherence to the regimen and provide interventions to specific needs. You would offer step 2 hypertensive treatment with the addition of an ACE or a low-cost ARB inhibitor. You would follow local protocols for checking bloods prior to commencing and following the initiation of the ACE inhibitor or low-cost ARB for a diagnosis of hypertension. Doris returns to the clinic one month later. Her clinic blood pressure is 154/90 mmHg and her blood results are acceptable. What would you do next? You would review Doris’s antihypertensive medication and ensure that it is at the optimal or best tolerated dose. You would also consider her adherence to the drug regimen and ensure that any factors that may reduce her adherence are managed. At her next clinic appointment, Doris’s blood pressure is 145/85 mmHg. This is an acceptable blood pressure for a person over 80. Doris can stay on current treatment. Derek is a 53-year-old male On examination His clinic blood pressures is 176/108 mmHg. Additionally, you have identified left ventricular hypertrophy on ECG. You are unable to confirm the diagnosis of hypertension with ambulatory blood pressure monitoring (ABPM) because Derek has refused it because he is a bus driver and it would interfere with his driving. What alternative test could you use to diagnose hypertension? You could offer Derek home blood pressure monitoring (HBPM). When instructing Derek in how to use HBPM, what instructions should you give him and what measurements would you base your diagnosis on? You should ensure that each blood pressure recording is based on two consecutive measurements taken at least one minute apart with Derek seated. You should ask Derek to record his blood pressure twice daily (ideally in the morning and evening) and this should continue for at least four days and ideally for seven days. To diagnose hypertension based on HBPM, you discard the measurements taken on the first day and take an average of all of the remaining measurements. The average HBPM result was 155/97 mmHg. You, therefore, note Derek has a ‘white-coat effect’. However despite this, his HBPM measurements indicate a diagnosis of stage 2 hypertension and he had target organ damage. You offer lifestyle interventions in line with recommendations 1.4.1 to 1.4.9 in the guideline and start Derek on step 1 treatment. What drug regimen would you offer Derek and how would you monitor his response to treatment? You would offer Derek treatment with an ACE inhibitor or a low-cost ARB and use HBPM to monitor his response to treatment. You would follow local protocols for checking bloods prior to commencing and following the initiation of the ACE inhibitor or low-cost ARB for a diagnosis of hypertension. Derek has returned to you with the results of his monitoring HBPM following step 1 treatment. During the past week, his average blood pressure was 150/94 mmHg. What is the target blood pressure for HBPM when monitoring response to treatment and what would you do about this result? For people aged under 80 the target HBPM blood pressure is below 135/85 mmHg. Derek’s blood pressure is not controlled so you would offer him step 2 treatment with a calcium-channel blocker in addition to his current ACE inhibitor or low-cost ARB. When he returns to you 1 month later, Derek’s HBPM result is still above 135/85 mmHg. What would you do next? You would check Derek’s adherence to treatment in line with recommendations of the NICE guideline. You would review his medication to ensure that step 2 treatment is optimal. Derek’s medication adherence is good and step- 2 treatment is optimal. What would you do next? You would offer Derek a thiazide-like diuretic in addition to his ACE inhibitor and calcium-channel blocker. Derek returns to your clinic and his blood pressure is still not controlled. What would you do next? You would check that Derek has received optimal medication at step 3 and reassess his adherence to his antihypertensive medication. You would ensure that Derek has been involved in treatment decisions throughout his care and that you have adapted your consultation style in order to facilitate this involvement. You would review Derek’s knowledge, understanding and concerns about his antihypertensive medication and explore whether or not Derek believes that he needs the medication. If you identify practical problems, you would consider interventions such as suggesting Derek records his medicine-taking and monitors his condition, simplifying the dosing regimen, using alternative packaging for the medicine or using a multi-compartment medicines system. You would ensure that Derek has received appropriate guidance and materials about the benefits of the drugs and unwanted side effects. You would repeat all of these actions on a regular basis when reviewing or prescribing antihypertensive drug treatment for Derek. You conclude that Derek is adherent to his medication regime and that he is on the optimal doses of the ACE inhibitor, calcium channel blocker and thiazidelike diuretic. What would you do next? You seek a specialist opinion for Derek. You anticipate he will be started on step 4 treatment. Routine BP ( 1st check ever) 180/110 • Routine blood tests are normal • Test(s) to consider? 62 yr lady. Asthma, OA++. Lying 144/84, standing 132/80. HR 88 irregular. White–coat hypertension was ruled out with ABPM. Why not tell your friends about this great article? Who couldn’t use a great resource to help them to rock their consultations?